If you are into a business, you probably know the need for marketing your products and services. And the very first step which a business owner can take to reach out to the target audiences is to develop an informative website. You might already have a website for your company which you had developed by one of the most eminent professional web designer or a company dealing with the same, and undoubtedly, it was great. But it was done long ago. Just as your home needs renovation, from time to time, with a fresh splash of paints your website needs redesigning too. And this is what can keep your website to be functional and relevant in today’s world. If it’s happening, you need to act fast! This is the ultimate wake-up call! If the analytics tools say that regular visitors to your website are declining every single day, you need to rethink about it and redesign the website for your own good. The reasons for this can be many. Your website might not contain the latest information, user interface is out-dated, etc. Just check every aspect and incorporate similar changes for the new one by getting in touch with professionals. When you get visitors on your site, you expect them to go through it, read out whatever you have to offer and then have a good feeling about your company. Similarly, when someone visits your website, he/she expects it to be easy to navigate and simple to read through. So, if your web pages are too much complex, with loads of unnecessary designs and pictures, you need to switch to a new one, without a doubt. Technology is changing overnight. And being in the business sector, it’s important to remain updated. Website content is something which works as the mirror for your company. Your visitors should be instantly attracted towards the way you project yourself as a company as well as your products and services through the contents. So, it is extremely important to keep updating the contents regularly. Search engines are changing their algorithms almost every single day. Whatever was leading a few years back have now become obsolete. In order to remain on top of the search engines, you need to have an SEO expert by your side who can find the shortcomings and work accordingly. What’s the use of having a beautiful website which opens only on a desktop? Today, people are more into mobile devices. And hence, your website needs to be responsive which ensures that it’s accessible across all platforms like mobile devices, smartphones, tablets, phablets, etc. Responsiveness of a website piques interest among the visitors. So, what do you think? 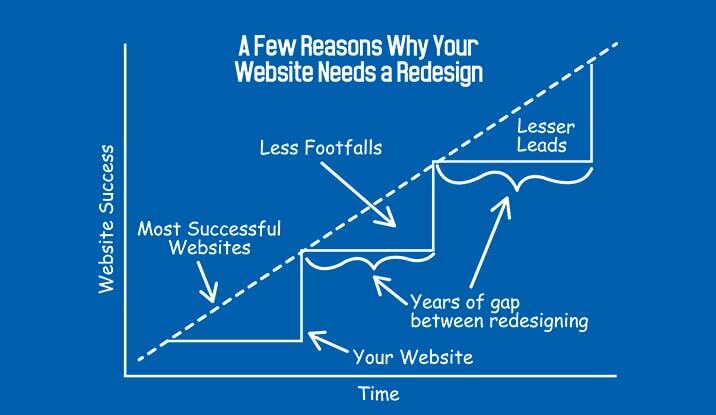 Are you too facing similar challenges for your company website? If yes, this is probably high time to overhaul and revamp it. And the best solution for this is to get in touch with a web development company. At Sun Dew Solutions, we make sure that all these above-mentioned concerns of yours are met. Our team of experts is trained perfectly to offer you with the best website design and development services, always! If you are all set with your queries already, give us a call on +91-98367-81929 today and we will help your business grow!